The first step in a user’s quest to load a web page is to type in the address of the page that they want. This address is known as the URL, and it refers to a “domain name.” The domain name is what specifies where the request for a web page will be sent. When you type in your website’s address, the request for the domain name is sent out, and then your computer begins to wait for the web page to come back to it. The first stop in the request’s path is to figure out what the domain name means. Computers refer to other computers using “Internet Protocol addresses.” You can think of these addresses in the same way as physical mailing addresses. Each address is unique and can be used by any computer to find any other computer somewhere in the depths of the Internet. In order to get a web page, your computer needs to turn its request for a domain name into a request for an IP address. There is a master list kept by a private company of all of the domain names on the Internet. This list is constantly being updated and redistributed around the Internet. It is one of the largest and most accessed databases online. It is truly impressive how dynamic it is, constantly being redistributed and updated. The list is actually a collection of hundreds or even thousands of separate databases maintained by different entities. There is a different collection of domains housed for different reasons. Every country in the world has its own unique collection of domains that it maintains. There are also the standard collections, such as .com, .net, .org, and .gov. All of these lists are constantly floating around the Internet, receiving millions of change requests and access requests, just like the one that originated from the user’s computer. Your computer’s request is sent to a specific one of these lists, which checks the requested domain name against the database and returns the IP address of the server where the website is being kept. Once the IP address has been obtained, the request can be directed to the individual server that hosts the website. When a server receives a request from a user to display a web page, there are several things that it has to take into account. First, it has to determine what the request means. Servers can serve many different purposes, and may send out information other than just web pages. It can tell what request is for which material based on what port the request is being sent over. Requests for web pages are sent over port 80. On web servers, all requests over port 80 have to be handled by some kind of program. The most common programs are Microsoft’s IIS and Apache. The function of these programs is to interpret requests sent over port 80 as well as keep track of all of the files that are going into websites. They are basically the part of the computer that handles the request for a web page to be sent to a user. Once the server has determined that it is being asked for a web page, it has to figure out which one the user is requesting. 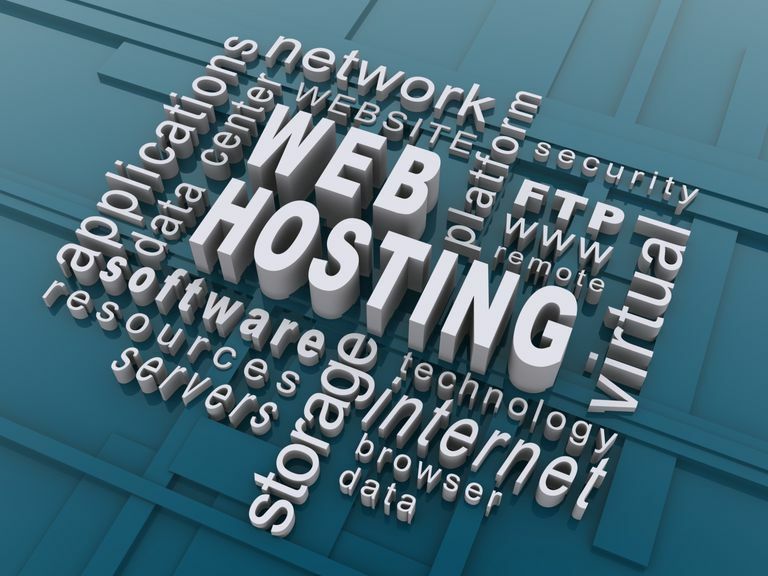 Servers often host more than just one website. It refers back to the domain name that the user originally requested. It then begins looking for the specified web page within the directory of files that belongs to that domain name. Once it has found the specific file that is being requested, the server has to figure out what to do with that file. The server cannot simply send the file back to the requester; many files contain sensitive data that webmasters do not want sent out to the general public. Other files are specifically intended to be interpreted by the server before it sends a response. The server is configured to treat different file types in different ways; there is a rule for each of them. Once the server has determined what to do with the file, it will figure out what to send back to the user. This is the interpreted file. Sometimes this will just be the file itself. Other times it may not send back anything at all; it will just block the request. Depending on what the server decides to send back, the user’s computer will then interpret the response and display something for the end user. Now, the web page has finally been sent back to the user. Once the user’s computer receives a response from the server, it can interpret what to do with it. The majority of the time, it will simply display the web page in a standard HTML format. However, there are plenty of alternatives. For instance, when people download files online, they take the same kind of request form as a normal web page, but obviously they are not interpreted as such. The way that a response is interpreted depends on the user’s browser. Internet Explorer, Firefox, and Safari can all interpret responses in different ways. Although the ways are typically very similar, web pages will actually look different when interpreted differently by various browsers. It is the job of website developers to ensure that these interpretations are as close together as possible. Even a normal HTML page is much more complex than it first appears. If you are unfamiliar with how websites work, then you should take a moment to open up the source code of any web page with which you are familiar. You will probably have absolutely no ability to understand it. This is the code in which developers write and browsers interpret. This code determines how the web page will appear in your browser. Web pages also rely on image files being loaded simultaneously within your browser. The code contains links to these image files, which your computer downloads and then stores temporarily so that it can display them with the web page. That is why if you ever save a web page from the Internet it will likely include several files and folders, including quite a few images. Overall, the amount of technology that goes into displaying a web page is quite impressive. It is even more impressive how many millions of times a day all of the technology functions in sync to bring users around the world the World Wide Web. Without years of work from countless people, we would not have the Internet as we know it today.